Save the Children Federation is renowned worldwide as the charity dedicated to improving the lives of all children. With so many non-profit organizations out there today it gets harder for the average donor to know which organizations are worthwhile, however when it comes to Save the Children, people do not have to worry about their donations. Save the Children Federation has one of the highest ratings for credibility, service, notability, security and financial status. Its members are committed to nothing less than excellence in response time, preparedness and accountability. 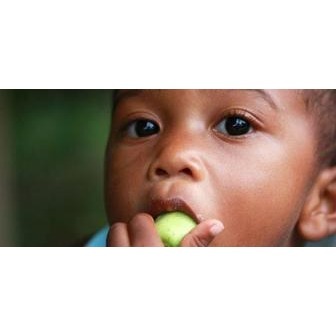 The organization is truly dedicated to helping children around the world. When a natural or manmade disaster occurs, most people are heartfelt to see pictures of children neglected or injured and without the basic necessities many of us who have, take for granted. It is at that very moment that Save the Children Federation loads their planes, buses and trains with supplies and with a rapid response enter the area affected by the disaster. These volunteers are exceptionally dedicated to their work and carry on about their mission with professionalism and purpose. One of the Save the Children's missions is to bring public awareness to how children are treated around the world. In many countries children are used for labor and left uneducated. Save the Children has put in place measures to enrich the lives of all children. Their focus is on providing healthcare, shelter, food and education. By going around the world and offering assistance for the treatment of common treatable illnesses and supplying food, children will be readily prepared to learn. By giving these children a chance to survive, Save the Children is actually contributing to the worlds struggling countries to have a better future. Educating the children will bring a brighter future to these countries, which are currently plagued with poverty and illiteracy. Save the Children Federation seeks to grow more and offer more services to under privileged children in countries around the world. 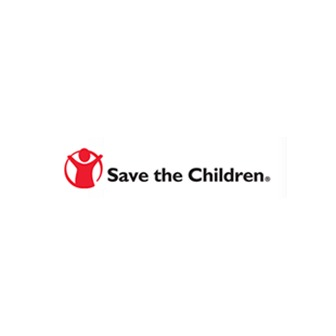 The organization of Save the Children was originally founded in England in 1919 by Eglantyne Jebb and then later, in 1932, the federation came to lay roots in the United States due to the looming depression. Today the Save the Children Federation is recognized in over 50 countries, including the United States. Save the Children's goal is their continuous commitment to enriching the lives of children wherein promoting a better quality of life for their future. Each year the Save the Children Federation helps thousands of children each year. They help to serve under nourished children as well as provide health and safety precautions through third world countries. In the past they have educated over 700,000 youths in the country of Bangladesh in terms of HIV related safety issues and education. Through education processes like this, the Save the Children Federation is effectively instilling knowledge that will help prevent future outbreaks of venereal diseases and HIV. Save the Children recognizes that their commitment could not continue without the support of their countless donors. Some of the donors include individuals- many of which have children themselves, foundations who find this organization dedicated and worthwhile, corporations, governments and international and national agencies. Save the Children has earned many awards over the years for their selfless efforts and achievements. This organization is recognized around the world for their endless search for countries in need of help. Save the Children gets their strength and stamina from understanding that by helping to rid the world of preventable deceases and illnesses, ending poverty, and providing resources for education and development, someday the world will be a better place for all. With its endless volunteers who remove themselves from their own families and take time off from their jobs, and the retired who get a sense of satisfaction in knowing they have contributed to a promising future of a child somewhere around the world. Save the Children Federation is designed to save the world's children through various practices of providing medical care along with education on illnesses. The Save the Children Federation was established in 1919 by Eglantyne Jebb. The Federation's original purpose was to help children that were caught in the wars in Central Europe. Jebb's purpose was to spare the children of Germany and Austrian regions as much as possible from the dangers and ruins that were left behind as a result of the wars. The Federation was met with an outburst of support with Pope Benedict XV declaring December 28th as "Innocents Day" where people were encouraged to donate to help the children. Another branch was opened in 1919 in Scotland and the organization grew over the next few years as the need for the Save the Children Federation became more evident. Following her example, American citizens started their own organization in 1932. The American division of Save the Children Federation was established in 1932 as a result of the economic trials that surrounded the Great Depression era. The main focus was on the children that lived in the Appalachian Mountains, but the federation quickly spread with a message that taking charge of our own lives is what will make the ultimate difference. In the 1950s more organizations were established as more wars were tearing up economies and leaving poverty and ruin in their wake. The Save the Children Federation expanded to Vietnam and to Nigeria in the effort to help the locals. The organization succeeded immensely in its efforts due largely in part to the fundraising successes. Today, Save the Children Federation is available in more than 50 countries. The way that the federation seeks to help children is by providing education and the necessary tools to help families break out of poverty by learning self-hope and reliance.